Get into the aerial action! Kids can bring a galaxy far, far away right into their world with the Star Wars Galactic Heroes figures and vehicles! Sized right for young Jedi, these figures get an intergalactic boost with the Galactic Heroes power up arms that snap on and off. 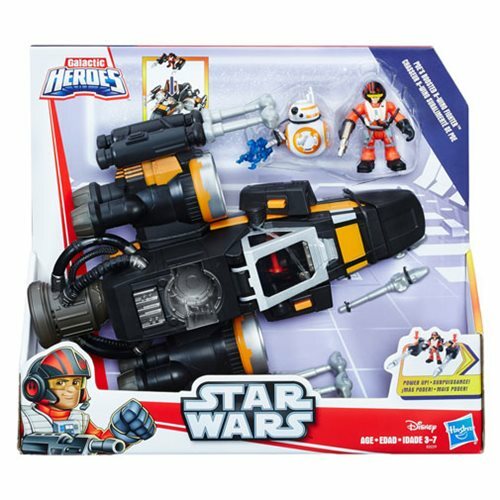 Power up the Poe Dameron figure with his blaster and imagine taking aim at the heart of the villainous First Order. 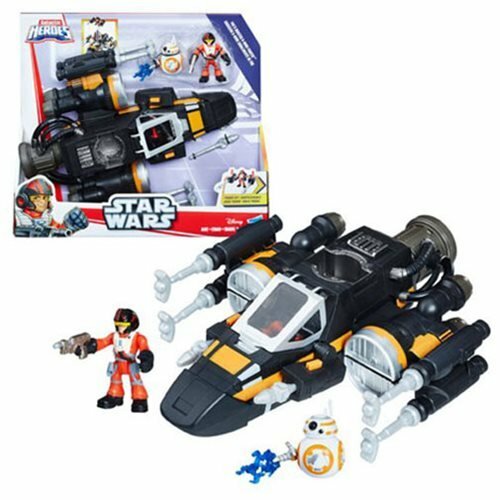 Young Jedi can even power up the fierce X-Wing Fighter vehicle by placing the Poe Dameron figure inside, using the additional set of power up arms to gear up Poe Dameron with 2 projectile launchers! The Star Wars Galactic Heroes Poe's X-Wing Fighter Vehicle features an oversized rear engine so kids can imagine faster aerial action as they pretend to outmaneuver the enemy! 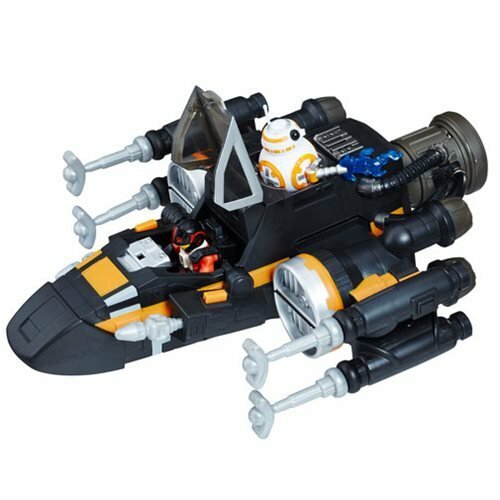 Place the included BB-8 figure in the vehicle behind the cockpit, press the button on the top of the vehicle to separate its wings, and then launch the projectiles while imagining fun space battles! 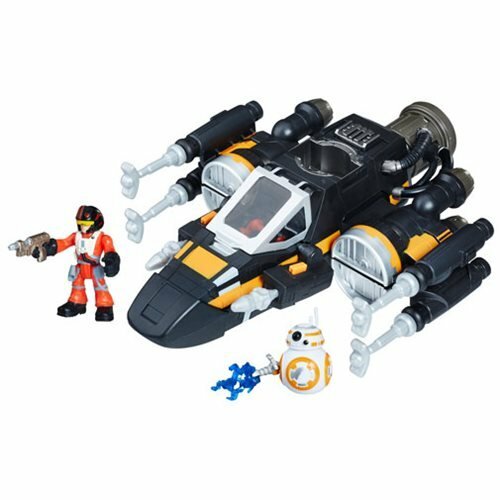 Poe Dameron figure, BB-8 figure, and Poe's Boosted X-Wing Fighter vehicle are compatible with other Star Wars Galactic Heroes figures and playsets.